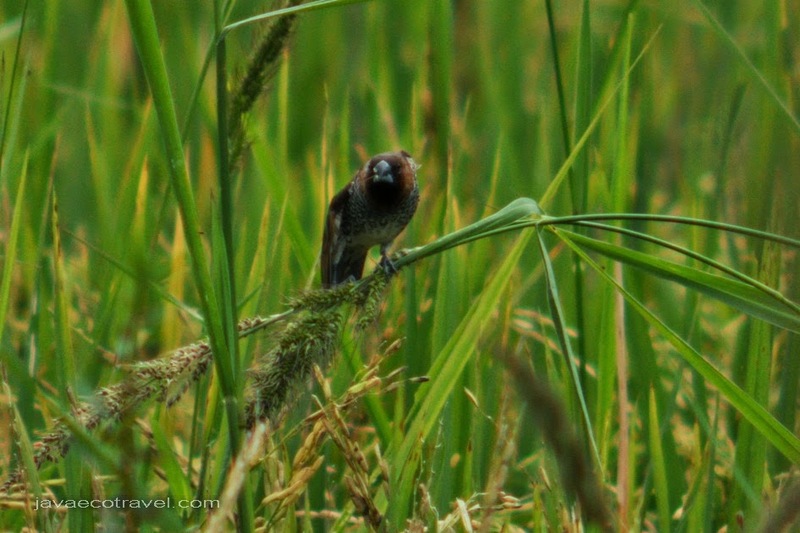 Java and Bali posses more than 600 bird species. Almost every house in Java will have caged bird hanging under the roof of the house terrace. People keep the birds in cages because of the physical color beauty and song. Keeping bird in the cage is part of traditions and it is also used to show social status. Luckily, there are still so many birds free on their natural habitat. 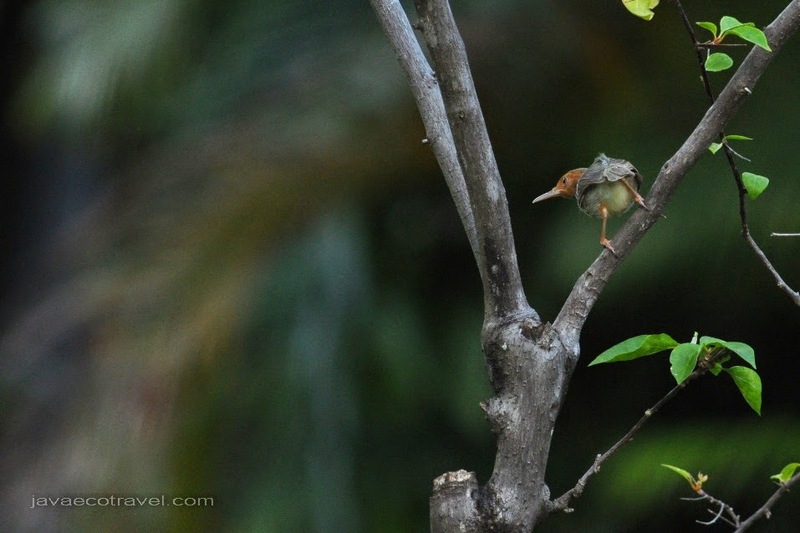 This is a special tour designed for those who love birds. We do not kept them in the cages, but we will expose their beauty through photography. Some birds will be very difficult to be photographed, but some are very easy. Making very good photos of birds needs good technique of camouflage. Wild birds are very sensitive. 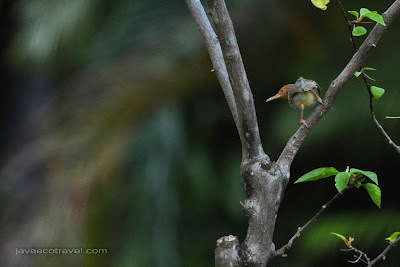 There are many species of birds in Java and Bali which are easy to find. On the rice field there are some species of Egret Bird. 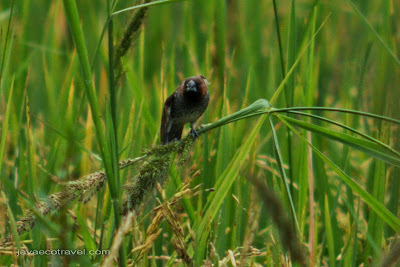 Javan Munia is the common birds on the rice filed also. Many species of Eagle sometime are very easy to be found. Some rare species such Bali Myna and Peacock are very difficult to see. 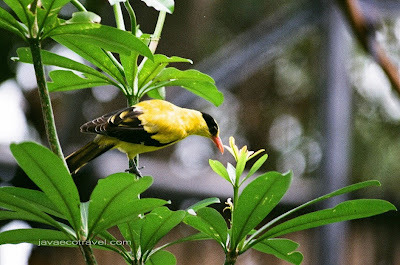 Minimum requirement to join birding activity is own good zoom lenses and fast camera. Minimum focal length for the lens is 300mm. For this activity I normally use 2x or 3x tele-converter. Monopod is also very important to make a stable shoot. 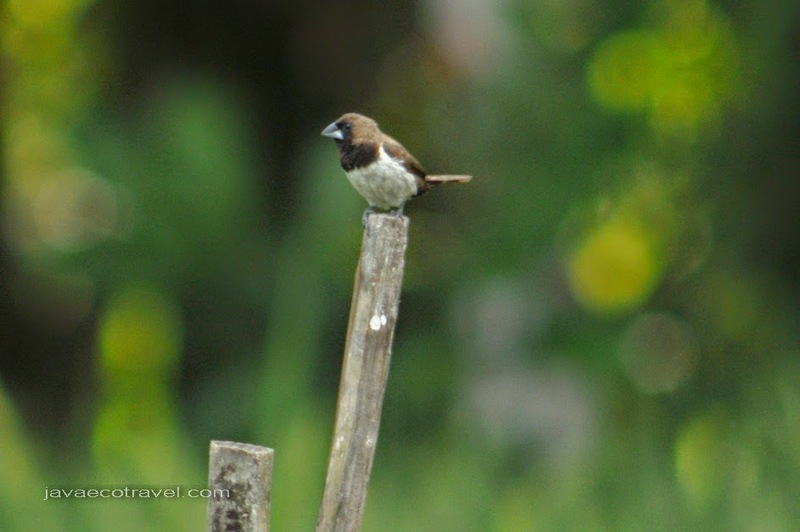 Contact us to get more information about the Birds of Java and Bali. Wow, admire your bird shots. Birding tour is a great idea.